Greetings on this Special Day! 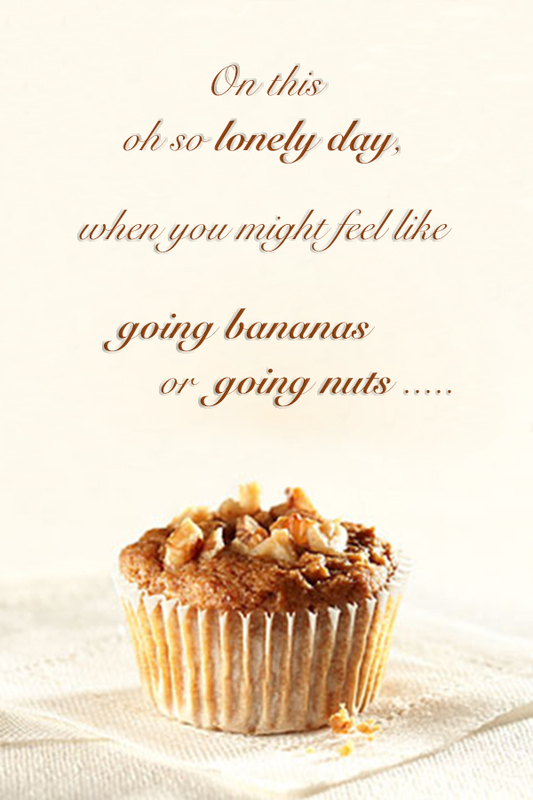 Well, The Daily Create TDC915 for today said to make a picture to cheer up the Lonely People because today is “Cheer-Up-the-Lonely Day”. Up above is the outside of the card that I made. Down under these words is the inside of the card that I made. You can see that I have all three of the ingredients that were on the website are there in pictures, plus me for True Friends. It was fun and a nice thing for me to do for the Lonely People on this day of theirs. Tina, Where Did All the Stuff Come From? I made the card myself, using pixels and virtual cardboard that I found in my computer. 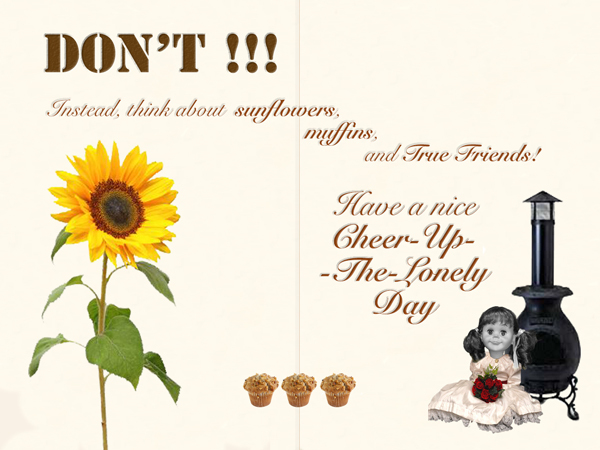 This entry was posted in Assignments, Design, ds106, friends, The Daily Create and tagged card, Cheer Up the Lonely Day, chimenea, dailycreate, ds106, greeting card, Lonely People, muffin, sunflower, tdc915, the Daily Create, True Friends on July 11, 2014 by iamTalkyTina.